IUWEshare Photo Recovery Wizard kayıpsız bir şekilde kayıp ve silinmiş dosyalarınızı geri getirir. Eğer kazara harici diskinizden, dijital kameranızdan, hafıza kartınızdan, USB sürücünüzden cep telefonunuzdan ve çöp kutusundan fotoğraf ve resimlerinizi sildiyseniz veya resimlerinizi hafıza/SD kart hatasından, formatlanmış bölüm/sürücü/harici sürücü, dijital kamera, program kopması, virüs enfeksiyonu veya diğer başka nedenlerden ötürü kaybettiyseniz panik olmayın! IUWEshare Photo Recovery Wizard kayıpsız bir şekilde kayıp ve silinmiş dosyalarınızı geri getirir. Recover deleted or lost call history, text messages, notes, calendar, recordings, reminders, Safari bookmarks, photos, camera videos, SMS attachments, voice memos, WhatsApp, etc. from iPhone, iPad and iPod Touch. 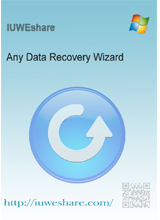 The statement "IUWEshare Photo Recovery Wizard provides you the safest way to get all your lost or deleted photos and images files back without any loss." is untrue as the SAFEST known method is to read the data source drive into an image file stored on a known good drive and then do all further scanning and data recovery from the image file and not on the potentially failing source drive which could lose more and more data the longer the drive is in use! It also revalidates the license over the network to a China hosted website using a subdomain of hong kong registered but anonymised domain. And can check for updates but has no setting to disable the check. And the setup.exe and the program executables are all not digitally signed by the authors. For me it provides nothing new, and some old risks of license deactivation at an indeterminate future date and no method to check executable integrity and unwanted update checks. And a vendor that conceals their identity. Uninstalling. 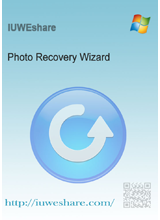 The statement "IUWEshare Photo Recovery Wizard provides you the safest way to get all your lost or deleted photos and images files back without any loss." is untrue as the SAFEST known method is to read the data source drive into an image file stored on a known good drive and then do all further scanning and data recovery from the image file and not on the potentially failing source drive which could lose more and more data the longer the drive is in use! It also revalidates the license over the network to a China hosted website using a subdomain of hong kong registered but anonymised domain. And can check for updates but has no setting to disable the check. And the setup.exe and the program executables are all not digitally signed by the authors. For me it provides nothing new, and some old risks of license deactivation at an indeterminate future date and no method to check executable integrity and unwanted update checks. And a vendor that conceals their identity. Uninstalling. created by an Open Source developer and always available free of charge. In practice, I've not found any commercial program that out-performs PhotoRec. It may be that IUWEshare Photo Recovery is the exception to the rule: I simply don't have time today to run them back to back. That said, having 'benchmark' software against which to compare alternative products is always a good thing, so for those who don't have anything of that nature on their computer, downloading both today's giveaway to assess its performance and PhotoRec wouldn't be a waste of time. As ever and always though, the rule where data retrieval is concerned is, if at all possible, NOT to get into a position where retrieval was ever necessary in the first place. Today's software, for example, is said by its developer to carry a retail price of $70. That's a heck of a sum to fork out seeing as the cost of an external hard drive on which to back up or sync data is considerably less. Yes, accidents will happen; files of any kind can be lost or damaged; hard drives will ultimately fail . . . but users who put their faith in regular back-ups or syncing to external archives are always going to be better insulated against misfortune than those who simply cross their fingers that some software or other will retrieve that which may well have been irrecoverably lost. In view of the plethora of data retrieval software out there -- and especially of the kind exemplified by today's giveaway -- computer users who aren't geeks might appreciate the insights provided here by PhotoRec, one of the longest-established and well-known Photo <i>(graph)</i> Rec<i>(overy)</i> apps out there: http://www.cgsecurity.org/wiki/PhotoRec created by an Open Source developer and always available free of charge. In practice, I've not found any commercial program that out-performs PhotoRec. It may be that IUWEshare Photo Recovery is the exception to the rule: I simply don't have time today to run them back to back. That said, having 'benchmark' software against which to compare alternative products is always a good thing, so for those who don't have anything of that nature on their computer, downloading both today's giveaway to assess its performance and PhotoRec wouldn't be a waste of time. As ever and always though, the rule where data retrieval is concerned is, if at all possible, NOT to get into a position where retrieval was ever necessary in the first place. Today's software, for example, is said by its developer to carry a retail price of $70. That's a heck of a sum to fork out seeing as the cost of an external hard drive on which to back up or sync data is considerably less. Yes, accidents will happen; files of any kind can be lost or damaged; hard drives will ultimately fail . . . but users who put their faith in regular back-ups or syncing to external archives are always going to be better insulated against misfortune than those who simply cross their fingers that some software or other will retrieve that which may well have been irrecoverably lost. 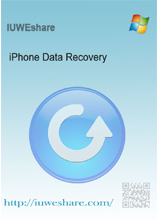 You'd have to use something like the IUWEshare iPhone Data Recovery they advertise, or perhaps something similar for Android, or check the Apple or Google stores to get something that runs on the phone itself rather than in Windows. This sort of software searches data storage that uses a Windows file system, finding any data & trying to assemble that into usable files. The data itself is stored in small chunks, & when a file's deleted, or something goes wrong, what's more-or-less a table of contents for the storage no longer knows what's stored where, although that data is usually still there until it's overwritten. With a cell phone a few things make that more difficult... One, it doesn't use a Windows file system, and two, unless the phone's rooted you don't have access to all of the files. Then you have the difficulties connecting a phone to a Windows device [PC/laptop] etc. If what you want to recover is stored on a micro SD card, you can always remove it & use a card reader. If what you want to recover, e.g. photos, is in the cloud, you *may* be able to recover stuff you've deleted depending on the cloud services provider. Matt, You'd have to use something like the IUWEshare iPhone Data Recovery they advertise, or perhaps something similar for Android, or check the Apple or Google stores to get something that runs on the phone itself rather than in Windows. This sort of software searches data storage that uses a Windows file system, finding any data & trying to assemble that into usable files. The data itself is stored in small chunks, & when a file's deleted, or something goes wrong, what's more-or-less a table of contents for the storage no longer knows what's stored where, although that data is usually still there until it's overwritten. With a cell phone a few things make that more difficult... One, it doesn't use a Windows file system, and two, unless the phone's rooted you don't have access to all of the files. Then you have the difficulties connecting a phone to a Windows device [PC/laptop] etc. 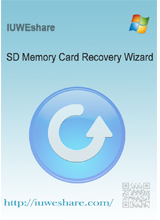 If what you want to recover is stored on a micro SD card, you can always remove it & use a card reader. If what you want to recover, e.g. photos, is in the cloud, you *may* be able to recover stuff you've deleted depending on the cloud services provider. 1. Is this 6-month license, a lifetime license? Free updates? 2. What OS's are supported? Win7, XP, iOS, etc.? 3. Your website says it's $39.99, originally $69.99.